This chapter discusses linguistic and ethnic identity formation in European minority groups, drawn from recent studies on the following cases: (1) Arvanítika speakers in Greece; (2) Alsatian speakers in France; (3) Gaelic speakers in Scotland; (4) Caribbean communities and their descendants in the United Kingdom; (5) the Kasabali in Macedonia; and (6) Muslims in Bosnia and Herzegovina. 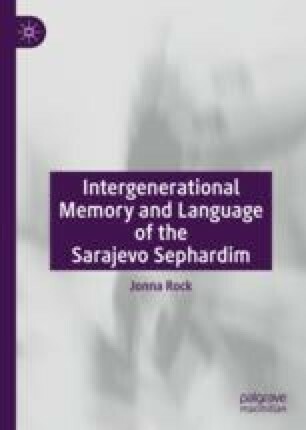 I describe the challenges of linguistic loyalty, vitality and revival that face the Sarajevo Sephardim by comparing and contrasting that community to the six other non- Sephardi cases. The purpose is to see how the other examples are helpful for understanding my case study, or at least seeing its main phenomenological contours.